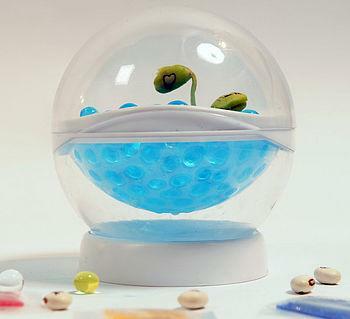 Grow a message on a plant using magic beans and water gel. No soil required! 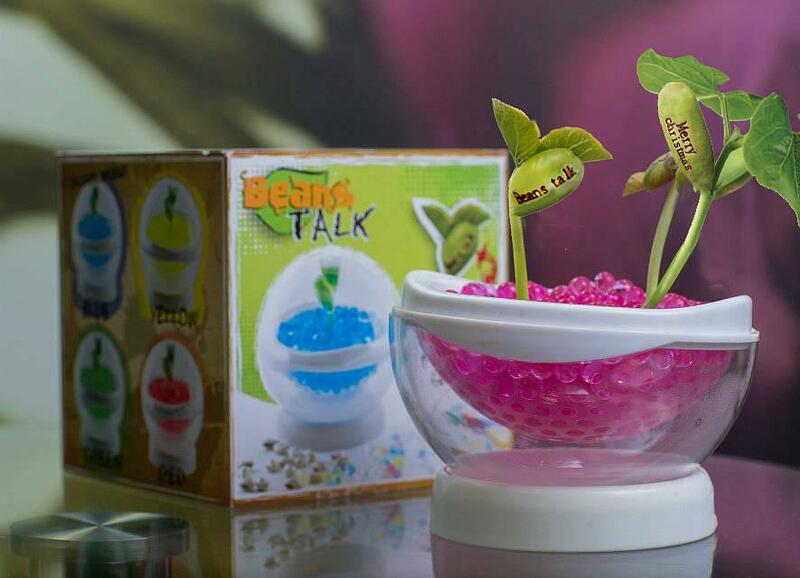 No soil, no watering, and no effort needed, the Beanstalk magically grows beans which pop up a special message to your surprised bewilderment. 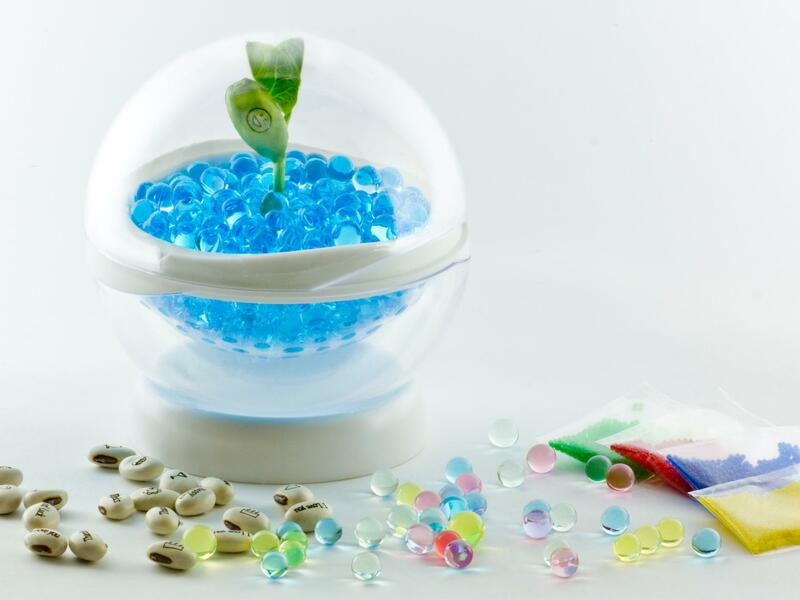 4 packets of water beads : Odourless and re-usable, the water beads are truly marvelous, it is an innovative and colourful substitute for soil. No Fuss, No Mess and Beautiful. 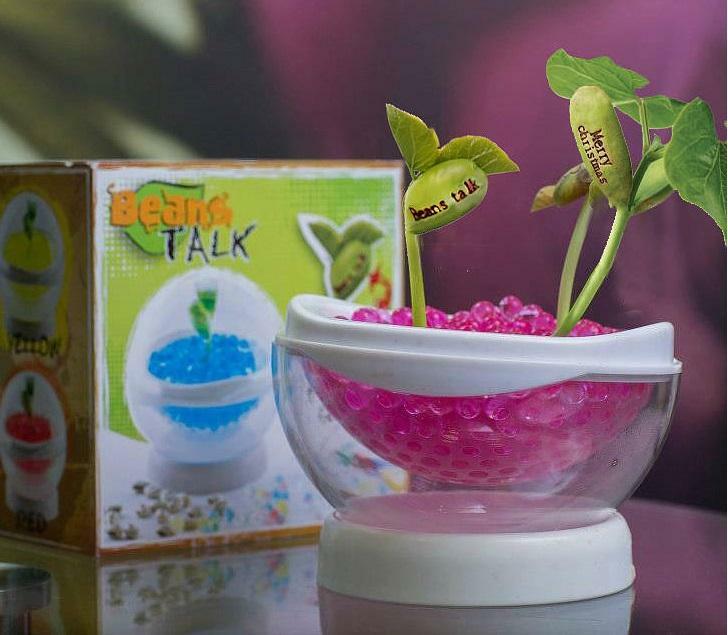 By adding water, it expands up to 200x its original size, and provide all the water and support needed for your beans to root. 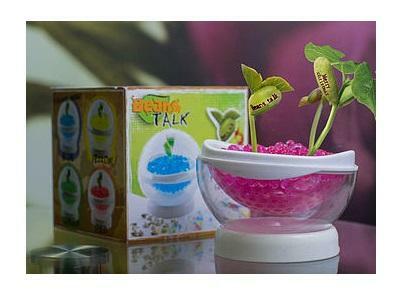 Only one packet is needed to fill a whole beanstalk bowl! 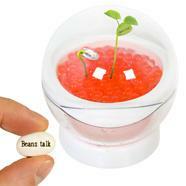 4 magical beans with messages and pictures etched into it which will continue to enlarge as the beans grow. 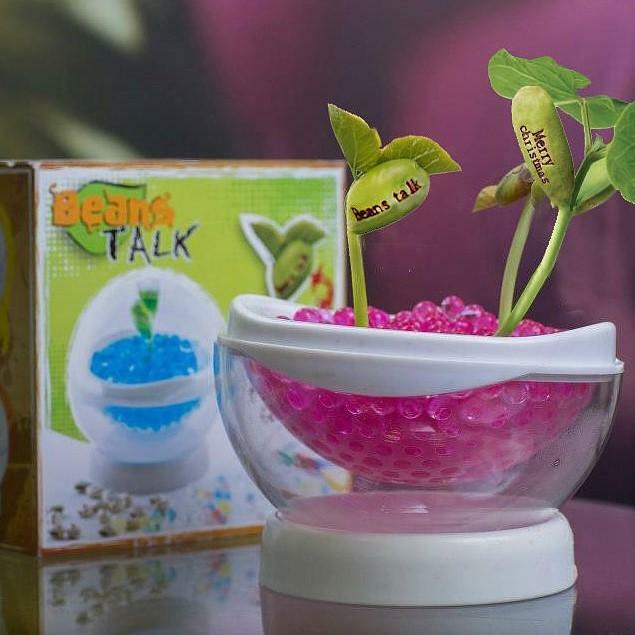 Just plant the seed into the water beads and less than two weeks later, everyone will be astonished by the special messages, which say "BeansTALK" making the Beanstalk an ideal gift for all keen amateur gardeners. 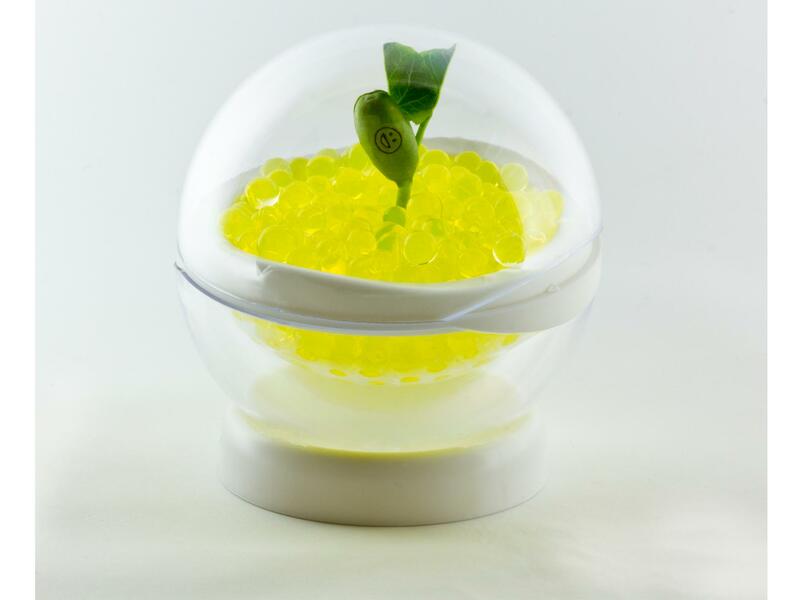 Beanstalk Pod: an award winning pod which is transparent to provide clear vision. 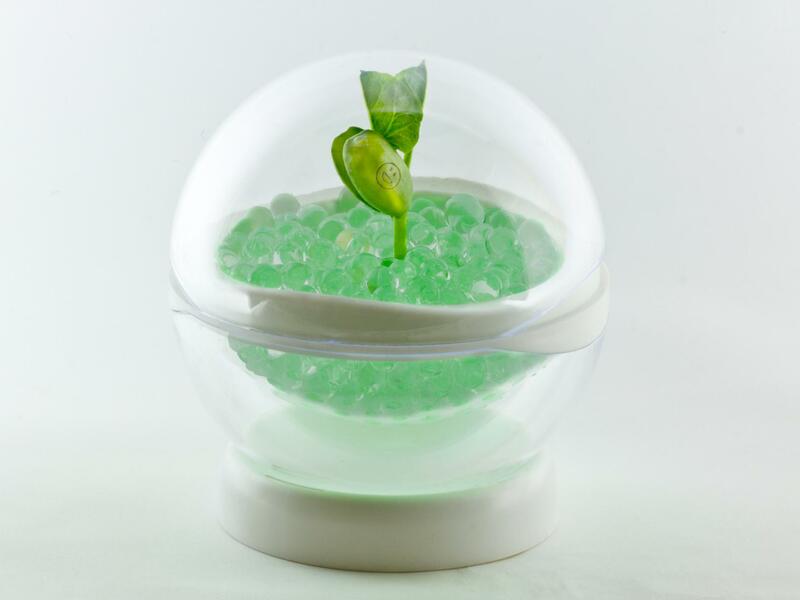 It is specially designed for incubation of the plant and allowing condensation of water to self water the system and beans. 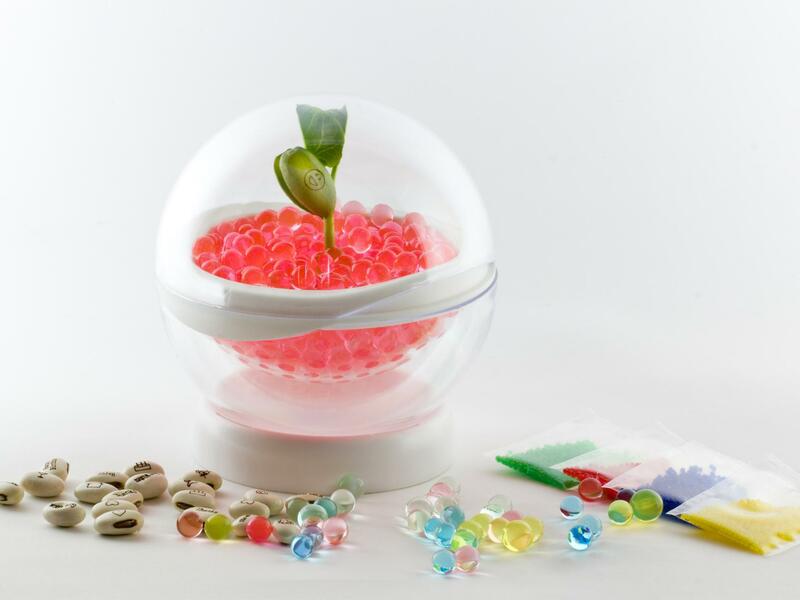 This product comes with 1 Pod, 4 water bead packs and 4 magic beans. These packs are suitable for everyone (6+).